Atlanta Rhythm Section - Are You Ready! Lauren Wright - Kiss Me? Ahhh, the sweet sound of a vinyl record playing your favorite music. Some say that there is no better way to listen to their music. Yes, vinyl records have made a triumphant return to the music arena, with sales over the last few years on a steady increase. However, opponents of the format may point to the delicate nature of vinyl, records do require due diligence and upkeep in order to keep them sounding their best. But if you maintain a vigilant ritual, vinyl records can last many decades, so the records that you own right now can conceivably be passed down through generations of music lovers. And the bonus for properly maintaining your records is enjoying a crisp, clear playback each time you spin your turntable. When handling records, treat them with loving care, hold them with two hands around the outer edges of the record; never allowing your fingers to touch the grooves. A simple method to alleviate this potential problem area would be to invest in some disposable plastic "deli" gloves, like the ones used in food preparation. Then, one can easily manipulate the record playing process and take the fear out of handling records. The environment in which your records are stored is very important to a long shelf life. If you want a long shelf life for your prized recordings, keep the records away from dirt, dust, smoke, fingerprints, and oils from human skin as well as faulty phonograph needles. Never stack your records on top of each other, albums should be stored vertically. Avoid storing them too tight as it can lead to ring wear on the cover or sleeve and cause unnecessary stress to the record's materials, surface and label, often resulting in warps and contact damage. Additionally, the records should be stored in a low humidity setting with a temperature between 60 and 70 degrees if possible. Obviously, it is imperative to keep your treasured vinyl away form heat sources such as sunlight, heater vents and even lighting. Avoid dusty environments and if possible store the records in a relatively airtight container such as a cabinet with doors or sealable boxes or bins. There are different opinions on this, but it is recommended by most to remove the original wrapping from the manufacturer, the dreaded shrink wrap, as this may shrink over time; eventually warping the jacket or possibly the record. A note of caution, however, some of the stickers or promotional information on this shrink wrap may actually make the album more valuable if left on; so use discretion when removing the shrink wrap. It is recommended to replace this wrapping with a high density polyethylene outer protective sleeve. There are several vendors where one can buy these protective outer sleeves, but one that offers many different options for record collectors is a well-respected vendor www.bagsunlimited.com Bags Unlimited has been in the collection protection business since 1975 and are the #1 choice of collectors for storage, display and shipping products for their collectibles. BagsUnlimited.com stocks record bags made out of polyethylene, polypropylene and polyester (Mylar). All three of these materials have passed the Photo Activity Test (P.A.T.) certifying that they are safe for long-term storage and protect them from dust, dirt, finger oils, and other airborne pollutants. "We carry multiple types of poly sleeves, varying in thickness and record jacket sleeves that come with a re-sealable flap, depending on the collector's choice," explained David Street of BagsUmlimited.com. "We also stock 2 mil and 4 mil sleeves that are manufactured of archival polyester (Mylar), an inert material of the highest clarity. Mylar is extremely clear, inert, 100% acid-free and considered to be the most archival of all protective sleeves. Polyester will not discolor, damage or adhere to items placed inside it. This material has passed the Photo Activity Test and Polyester is used worldwide in museums, libraries and archives. Our polyester material has been approved by the Library of Congress for archival storage." It is also very important to have clean, acid free inner sleeves to protect your records with paper sleeves being the most practical. Some recordings were issued with inner sleeves that have acidity issues, which over time, could damage the vinyl records that they hold. Additionally, some sleeves may be viewed as collectible, so it's best to save them as part of the album package. "We are the manufacturers of our paper sleeves and therefore have control over the sizes and materials used. Being the manufacturers also insures that the sizes are true, the holes are centered, and the seams are well-glued," stressed Street. "Investing in quality sleeves for your records is one of the most important care tips for long lasting vinyl." Storing your records in boxes can also add to the preservation process in many ways according to Street: "Bags Unlimited boxes are the Standard of the Industry. Storing your records in our boxes keeps them in an environment that will protect the corners, edges, and flat surfaces. It also keeps them away from ultraviolet light, dust and other airborne pollutants that can destroy or damage them," Street stated. "Our boxes are super strong, properly sized and stackable. They come with 3" deep sturdy covers and die-cut handles that can be in the open position for carrying or closed position for storing." The most important aspect of owning and playing vinyl records is to keep the records clean. Due to the chemical nature of vinyl, they attract dust and dirt. This is caused by vinyl's tendency to build up static electrical charges which attract small particles of dust which land in the grooves. These particles will cause "pops" and "clicks" as the record plays. The cleaning of records should be performed before and after playing. This will ensure the best possible playback, and also prepares the record for "dust free" storage. It's highly recommended that a record collector have on hand some sort of carbon fiber brush (there are many varieties of brushes available). Carbon fibers are used to help disrupt static buildup while brushing relies on the vibration of the almost microscopic carbon fibers to clean the grooves and remove dust and dirt. 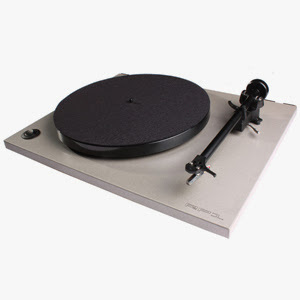 It's recommended that the turntable be running while brushing rather than holding the record in your hands because this will result in a smoother, more consistent cleaning motion. Some people get so intensely careful about cleaning their vinyl records, they often forget about keeping the needle clean. Since the needle is constantly tracking in the groove of the records, it attracts large amounts of dirt and dust particles and must be cleaned. When not properly maintained, the needle may not vibrate fully and may not rest in the bottom of the record groove; resulting in decreased sound quality and other audio problems. Needle maintenance supplies are easily obtained, for instance, the aforementioned BagsUnlimited.com sells an inexpensive "Stylus Care System" which includes a special cleaning fluid and a dense nylon brush to maintain a clean needle. "We carry a portable antistatic, ionizing air gun to use with the condensed air dust remover and it will significantly boost the ability of canned air to remove dust from static-prone areas. This ionizing gun effectively neutralizes static charges in vinyl, plastics, glass, films, Mylar and other items that hold static charges by creating a flow of ions that neutralizes static charges and releases clinging dust. The gun easily snaps onto any type of nonflammable canned air," explained Street. There are many cleaning solutions that can be used to 'wet' wash a record and it really is a matter of personal preference as to which one to employ. In the old days, when record were made of shellac, they could be cleaned with a mild solution of regular soap and water (always use distilled water as tap water often contains too many contaminants) and this was the preferred way to maintain the old 78 rpm records. Never use the new cleaning solutions on 78's because they are alcohol-based and can dissolve shellac recordings and will ruin these types of records. Speaking with Dave Street again, they sell several kits of various sizes to help keep record clean. 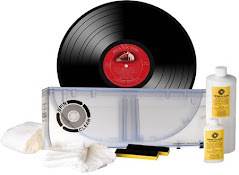 "We recommend the 'Groovy Record Cleaning Kit' and each kit comes with micro bristled cleaning brush; cotton cleaning cloth, various sized bottles of GROOVY Cleaning Fluid which is Bags Unlimited's own Record Cleaning Fluid, and is specially formulated for its deep cleaning, antistatic, residue-free properties." It's also recommend not storing the vinyl inside the record cover but instead slip the vinyl (protected by the inner sleeve) behind the cover with both protected by the outer sleeve, because storing the vinyl inside the cover may eventually create seam and/or spine splits. Over time the weight of the record could possibly cut through the binding. This article was not written to exemplify how hard it is to maintain vinyl records; on the contrary, these are very simple tasks and often become mundane and second nature after time. But the reward is so great-the preservation of your prized collection and the coupdeville- the best possible sound reproduction that is humanly possible. With proper care and diligence, these historic audio treasures will last a lifetime or two, giving vinyl record owners many hours of listening bliss. Today, a documentary called Last Shop Standing will be released in the UK. 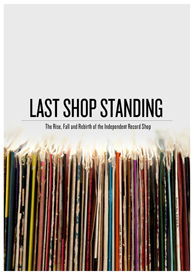 Last Shop Standing inspired by the book of the same name by Graham Jones takes you behind the counter to discover why nearly 2000 record shops have already disappeared across the UK. The film charts the rapid rise of record shops in the 1960's, 70's and 80's, the influence of the chart, the underhand deals, the demise of vinyl and rise of the CD as well as new technologies. Where did it all go wrong? Why were 3 shops a week closing?Will we be left with no record shops with the continuing rise of downloading? Hear from over 20 record shop owners and music industry leaders as well as musicians including Paul Weller, Johnny Marr, Norman Cook, Billy Bragg, Nerina Pallot, Richard Hawley and Clint Boon as they all tell us how the shops became and still are a part of their own musical education, a place to cherish and discover new bands and new music. The pop/punkers will hit the road for 28 shows in late 2012 and early 2013, look and see if they are coming to a city near you! Joan of Arc Presents: Don't Mind Control 2xLP -- Final Pressing! Conceived by Joan of Arc frontman Tim Kinsella as a way to bring together many of the musicians who have recorded with his band over the years, Joan of Arc Presents: Don't Mind Control is back in print for the last time! 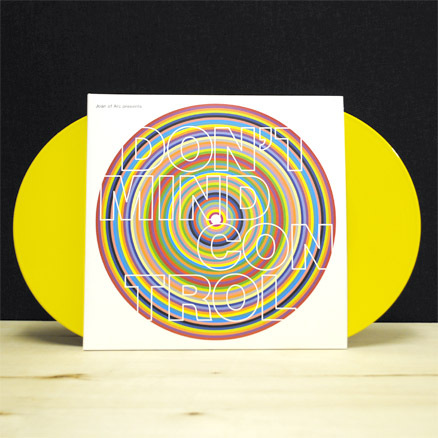 Featuring exclusives tracks from Owen, Birthmark, Cale Parks, Ghosts and Vodka, along with many more, Don't Mind Control is now available on yellow vinyl (after selling out on orange, green, and blue). This final pressing won't be around for long -- it's limited to just 300 copies -- so grab one while you can! lots of unique album cover art today! 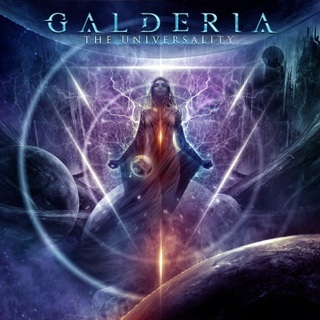 French power metallars Galderia have revealed the new album cover art for the band's debut LP, 'The Universality.' 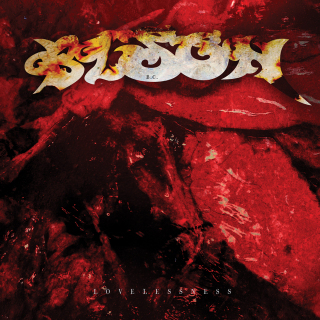 The album is slated for a late November 2012 release. The artwork was created by Felipe Machado Franco from Final Frontiers. Celtic punk outfit the Dropkick Murphys have revealed the album cover art for their upcoming album called 'Signed and Sealed In Blood,' which is expected to be released sometime in early 2013. The album is their second with producer Ted Hutt (Gaslight Anthem, Old Crow Medicine Show), which was recorded at Boston's Q Division studios and mixed by Joe Chiccarelli (The White Stripes). 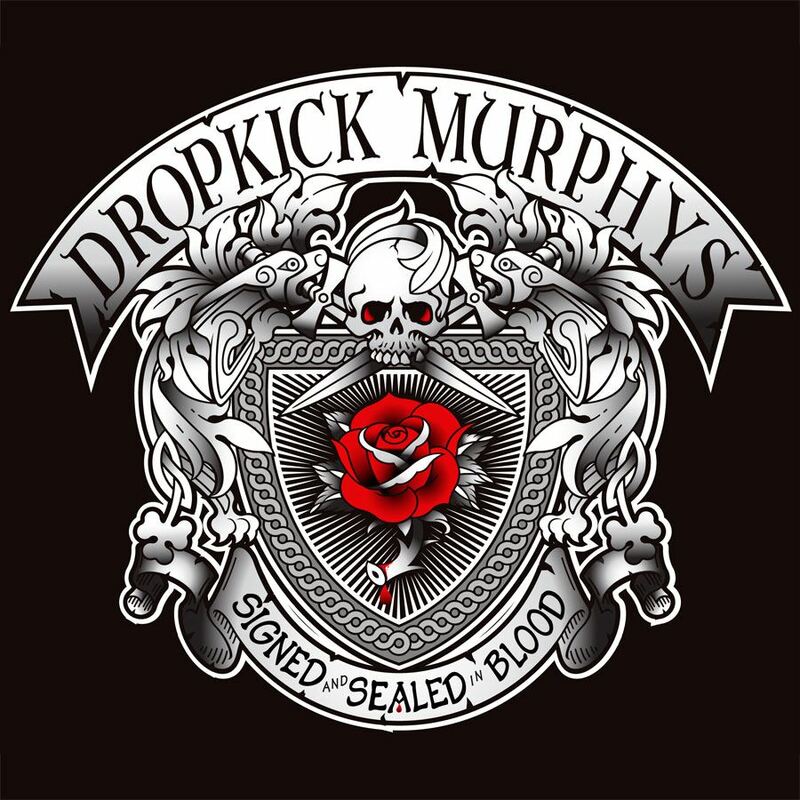 "We had such a great time writing our last album, Going Out In Style, we were excited to get back into the studio right away," says bassist and co-lead singer Ken Casey. "Where Going Out in Style was a concept album-kind of intricate and difficult-this one is catchy, fun, and as sing-along as can be." 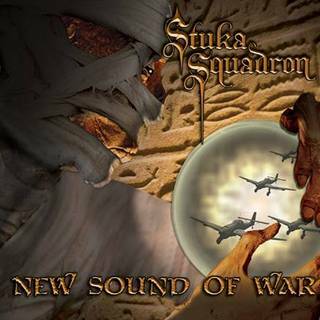 U.K. metal vampires Stuka Squadron issued a statement that the band's sophomore LP will be called 'New Sound of War.' The album will be released on November 19, 2012 via Metalbox Recordings. Vancouver based Bison B.C. have completed work on their new album 'Lovelessness.' The album will be available on October 22nd. The band worked with producer Sanford Parker at Soma and Electrical Audio Studios in Chicago. 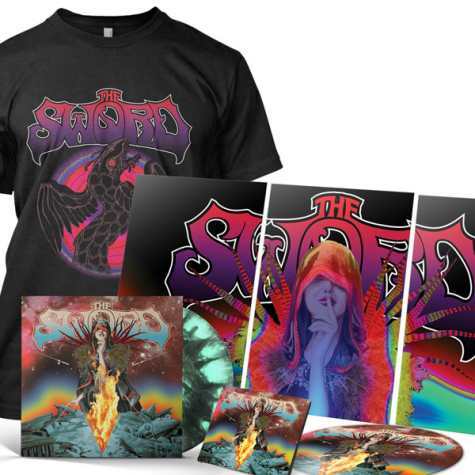 Austin, Texas metallarsTHE SWORD are set to release their fourth album called, 'Apocryphon' on October 22 via Razor & Tie. The effort was produced and engineered by J. Robbins at Magpie Cage Studios and will feature cover art by famed comic book artist J.H. Williams III. college student with the right idea! ah, the art of crate digging! and north of our borders, they love their records! The winner is Dave K. from Philadelphia, PA and we thank www.MusicRecordShop.com for the chance to give a limited edition Bob Dylan album to one of our loyal readers!